466 people want to go here. 42 people have been here. Chile, officially the Republic of Chile, is a country in South America occupying a long, narrow coastal strip between the Andes mountains to the east and the Pacific Ocean to the west. It borders Peru to the north, Bolivia to the northeast, Argentina to the east, and the Drake Passage in the far south. 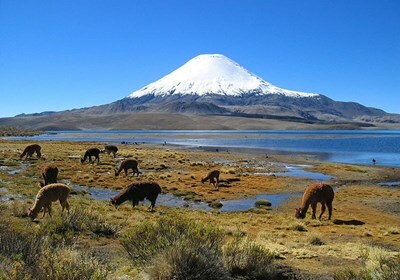 With Ecuador, it is one of two countries in South America which do not border Brazil. The Pacific coastline of Chile is 6,435 kilometres (4000 mi). Torres del Paine National Park (Parque Nacional Torres del Paine) is a national park encompassing a mountains, glacier, lake, and river-rich areas in southern Chilean Patagonia. The Cordillera del Paine is the centerpiece of the park. It lies in a transition area between the Magellanic subpolar forests and the Patagonian Steppes. 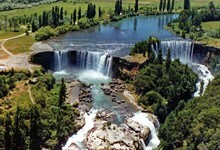 The park is located 112 km (70 mi) north of Puerto Natales and 312 km (194 mi) north of Punta Arenas. Moai, or mo‘ai, are monolithic human figures carved from rock on the Polynesian island of Easter Island, Chile between the years 1250 and 1500. Nearly half are still at Rano Raraku, the main moai quarry, but hundreds were transported from there and set on stone platforms called ahu around the island's perimeter. Almost all moai have overly large heads three-fifths the size of their bodies. The moai are chiefly the living faces (aringa ora) of deified ancestors (aringa ora ata tepuna). Santiago de Chile,, is the capital and largest city of Chile, and the center of its largest conurbation (Greater Santiago). 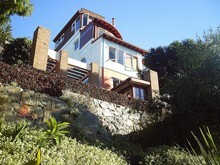 It is located in the country's central valley, at an elevation of 520 m above mean sea level. Although Santiago is the capital, legislative bodies meet in the coastal town of Valparaíso, a one-hour drive to its west. Rapa Nui National Park is a national park and UNESCO-inscribed World Heritage Site located on Easter Island, Chile. 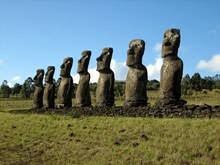 Rapa Nui is the Polynesian name of Easter Island; its Spanish name is Isla de Pascua. Torres del Paine is a Chilean commune located in the inland of Última Esperanza Province and Magallanes Region. The commune is administered by the municipality in Cerro Castillo, the major settlement in the commune. Torres del Paine National Park lies within the commune. 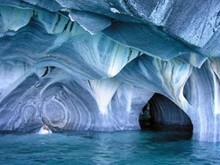 Just like most natural attractions in South America, Marble Cave has a unique element that makes it so impressive and esteemed by tourists. Limestone has been considered a precious material used in constructions for years; these days, people make sculptures and castles out of marble. Having the possibility to witness a natural cave made entirely of granite is absolutely fantastic." For anyone who loves mountains, Patagonia is a must. Its improbably thorny massifs are some of the most iconic visages in the world. 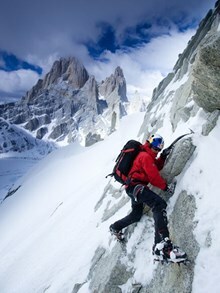 They attract the world’s best climbers, but there are plenty of classic routes for moderate climbers, too." There are stories that this impressive natural landmark was a sacred place for the local Araucan people. The young Araucans had to prove their manhood by walking along the upper rim of the larger falls but the older ones meditated here." In the heart of Patagonia, glaciers rise in the midst of mountainscapes and alpine meadows, close enough to hike right up to and touch. They make Torres del Paine one of the most special national parks in the world — you'll never forget your first sight of ice on the beach. 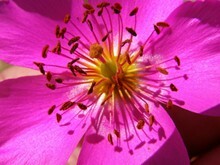 People do visit Chile’s Atacama Desert, one of the driest places on the planet, for the colors. The barren, sculpted earth is painted with an earthen palette of mineral hues: Purples and pinks, beiges and greens, all deepening and transforming by sunset and moonlight. Hence, the Moon Valley gets its name." 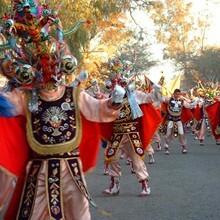 Celebration of the Tirana is a celebration of religious character realised annually in the town of the Tirana, commune Almonte Well, in the Region of Tarapacá, Chile. 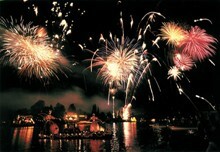 The celebration is realised each 16th of July, in honor to the Virgin of the Carmen. This is the greater religious celebration of the Great North of Chile and the second most popular one of Chile after the Celebration of the Rosary of Andacollo, meeting in this town of no more than 560 inhabitants between 200,000 and 250,000 visitors during the week of celebrations." It began as a popular demonstration against the administration of Governor García de Mendoza, in the sixteenth century. The villagers came out in their boats and burned straw bales as an expression of their discontent. The event was so successful that the governor was sacked and since then the parade of ships became a tradition, which over time has become one of the most important events in the region."